GREENVILLE, S.C. - Duke Energy today proposed several solar power programs to the Public Service Commission of South Carolina (PSCSC) that will greatly expand options for customers to use renewable energy. The programs must be approved by the commission before they can be offered to the companys 720,000 Duke Energy Carolinas and Duke Energy Progress customers in the Palmetto State. 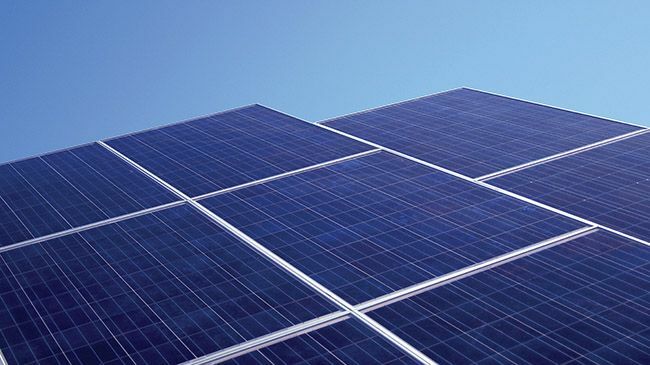 "The passage of the Distributed Energy Resource Program Act in 2014 opened the door for Duke Energy to offer a suite of solar programs that will expand renewable energy use in South Carolina, said Clark Gillespy, Duke Energy president  South Carolina. These diverse options will allow customers the ability to participate in a sustainable solar energy marketplace."
Customer rebates: To encourage rooftop solar, Duke Energy will offer rebates to customers who install rooftop or small-scale solar on their property. A typical rooftop installation could earn rebates of about $5,000 under the program. The rebates will help customers with the initial investment, which can be significant. Customers with rooftop solar installations will still enjoy retail net metering in the state for the next 10 years – meaning the price to sell excess energy to the utility will be the same price at which the utility sells the power to its customers. Community solar: Customers who often are unable to participate in renewable energy options – including nonprofit organizations, churches, community centers, renters and schools – can benefit from Duke Energy’s community solar offering. The “Shared Solar Program” will allow multiple customers to subscribe to a specific solar facility and share in the economic benefits of the power produced. Utility-scale solar: Duke Energy expects to issue a request for proposals this year for more than 50 megawatts of large-scale solar in the state. These large-scale installations are among the most efficient ways to generate solar power due to their economies of scale. Additional details on the programs will be available for Duke Energys South Carolina customers following the review and approval of the commission. Programs may be added by the company in the future. Here is the Duke Energy Carolinas filing. Here is the Duke Energy Progress filing. Duke Energy has already contributed $2 million to Palmetto Clean Energy (PaCE), a nonprofit organization that promotes the development of renewable energy resources. Through PaCE, the company funded a pilot program that provided matching grants to K-12 schools and not-for-profit educational institutions interested in installing rooftop solar systems. In late 2014, Griggs Road Elementary School in Clover and Roper Mountain Science Center in Greenville were among the first organizations in the Duke Energy service territory to take part in the solar matching grants program. For TV reporters: Duke Energy has solar b-roll footage in a Dropbox account. It is in an MP4 format. Send an email to randy.wheeless@duke-energy.com if you would like to download it. The company will reply to your email and give you access to the folder.